Lord of the Manor of Sutton in 1127 was the Earl of Warwick, Roger of Newburgh. He was well-travelled, making several pilgrimages to the Holy Land; his son Earl William died in Jerusalem in 1184. In the 1400s a later Earl of Warwick, Richard Beauchamp, made a triumphant voyage to Jerusalem via Paris and Italy, returning through Russia, Poland and Germany, defeating the flower of European chivalry at tournaments along the way. Middleton Hall, just east of Sutton, was the seat of a family of explorers. In 1554 Sir Hugh Willoughby set out on an expedition to find a sea route to the East Indies to the north of Siberia, only for his ship and all aboard to be frozen solid in the Arctic Ocean. Conventional voyages to the East Indies were made by a Sutton resident, Walter Peyton. He made two successful trading expeditions, the first lasting from January 1613 to July 1614, and the second when he was in command of a fleet of four ships, fromMarch 1615 to May 1617, bringing back valuable cargoes of spices for the East India Company. Peyton then came to live in Sutton at Marlpit Hall, not far from his wife’s relatives the Grosvenors of Moor Hall. Some nineteenth century Sutton men travelled for professional reasons. Richard Bodington, son of Dr. Bodington of Driffold House, was a land surveyor. He met his death while working for the Great Indian Peninsular Railway Company in 1859 - he jumped into the Nerbudda River to escape the stings of a swarm of hornets and drowned. Another Suttonian, Richard Holbeche, visited Bodington’s grave in 1871. Richard Holbeche, then aged 21, was in India with his regiment. In 1884 Holbeche returned to India with his battalion, and distinguished himself at Mandalay in the Third Burmese War, retiring to Sutton with the rank of Lieutenant-Colonel in 1890. Hugo Mavesyn Chadwick of New Hall was a great traveller, according to the Rector of Sutton, W.K.Riland Bedford, who wrote that his “Rambles extended from Vancouver to Natal”. Chadwick wrote to Riland Bedford in 1852 apologising for not assisting in the forthcoming parliamentary elections “it is highly probable I shall be half-way to New Zealand before anything like county voting may be required”. 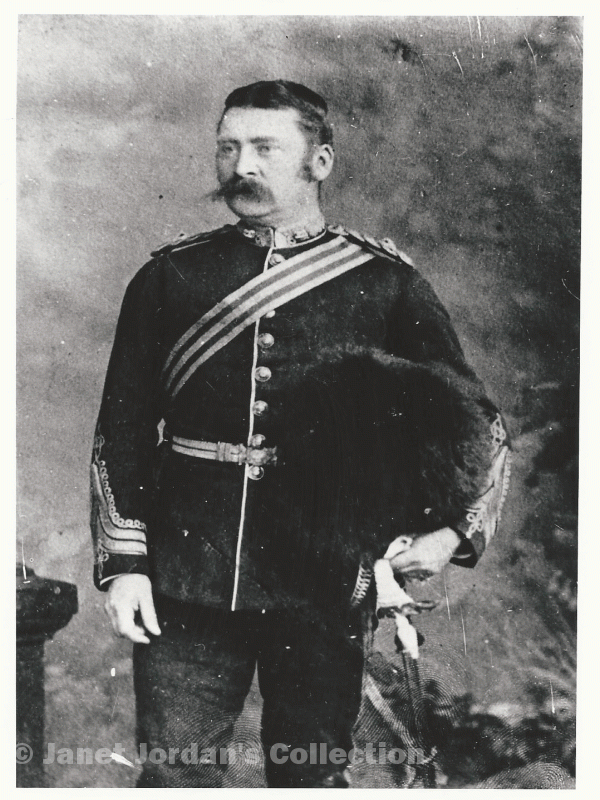 Probably several Suttonians emigrated to start a new life in the colonies like Henry Adcock of New Hall Mill who emigrated to New Zealand in 1870.